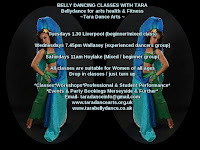 Bellydance parties are suitable for children ages four and above. The party includes a fun belly dance lesson and dance games, the use of jingley coin hip belts, Glitter tattoos, Glam face gems & a gift for the guest of honour. The party runs for upto 2.5 hours. *The hirer must organise a venue. Alternatively a spacious room or garden is suitable. Glitter tattoos are a modern and sparkly alternative to childrens face painting. They can last upto 7 days as long as aftercare instructions are followed correctly. Glitter tattoos are applied to children's arms using safe and certified cosmetic grade products by fully qualified and insured beauty and makeup professionals. Alternatively you can hire a glitter tattoo artist at £75 upto 2 hours for upto 15 children. Suitable for those of you who would prefer to book a shorter dance tuition party without the extras at a lower price. Includes fun up eat belly dance lesson and dance games, Face gems, the use of coin hip belts. Upto one hour of fun! *The hirer must organise a suitable venue. A spacious room or garden at home may well be suitable. Add party cones extra £2 each. Add sparkle eyes & sparkle nails (fingers & /or toes) extra £5 per person each. *Please allow extra time for some party add ons. *Parties are provided for by Tara. A professional dancer teacher & makeup artist / beauty therapist. She holds relevant certificates in dance fitness teaching beauty and makeup art. She is fully insured and has been since 2009. *Children must be supervised by a responsible adult. *Tara may bring an assistant if over the 2.5 time period or if party add ons are booked. *Please get permission from venue before booking. *£25 deposit may be required if out of the immediate Wirral / Liverpool area. Glitter tattoos for children's parties, belly dance parties, belly dance kids party, children's belly dance party, Wirral Liverpool Chester North Wales UK north west.